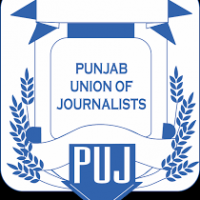 LAHORE: A meeting of the general council of the Lahore Press Club was held here on Thursday in which it was decided to merge all the factions of the Punjab Union of Journalists (PUJ). The meeting headed by the press club President, Arshid Ansari, decided to contest joint election on March 3, start campaign for financial assistance of jobless journalists, establishing fund for protest movement and setting up a camp at the press club building for protest campaign. The meeting also decided to approach the courts against expelling of journalists from jobs and their other rights. The participants of the meeting expressed grave concern over the problems faced by journalists. They decided to forge unity for the rights of media persons. They said the sacked journalists and those who faced cuts in salaries will never be left alone and the journalist community will stand by them. All the members of the press club will donate for the protest campaign.